Welcome to the Shrine of Our Lady of Guadalupe! As you prepare for your visit and pilgrimage to the Shrine, please know that our staff is ready to help make this a special encounter with Our Lord and Our Lady of Guadalupe. Our prayer is that you will have a wonderful and memorable experience with us here. Very Rev. Esequiel Sanchez, Rector, has been at the Shrine since March of 2016 where Cardinal Blase J. Cupich appointed him. He has served in various capacities in the Archdiocese and has over 20 years of ministerial experience in the Hispanic and non-Hispanic Catholic community. His last parish was St. Bede the Venerable Church in Chicago’s South Side. He is fully bi-lingual (English and Spanish). Rev. Manuel Padilla, Vice Rector, has been serving here at the Shrine since July of 2016. Fr. Manuel joins us after his service at Our Lady of Lourdes Parish on Chicago’s North Side. Fr. 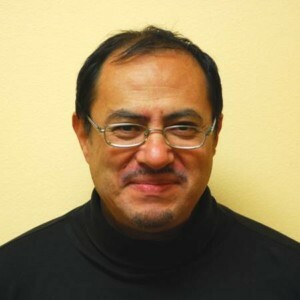 Manuel has over 16 years of priestly experience in various parish ministries. His passion is to teach catechetic instruction and leadership. He is fully Bi-Lingual (English and Spanish). Rev. Giovanny Navarro Sánchez was born in Bogota (Colombia). From a young age he has undertaken activities, studies, and research in the field of youth ministry and leadership development that have helped young people to discover, know and follow Jesus Christ in their vocational discernment to the priestly, religious or lay life. Guided by the Holy Spirit, in his lay life and in his ecclesiastical ministry, he has carried out a variety of missions for over two decades. 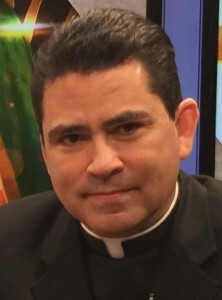 He is currently serving in the Archdiocese of Chicago as Vice Rector of the Shrine of Our Lady of Guadalupe. The Shrine of Our Lady of Guadalupe is open and available to all pilgrims. We would like to make a special invitation to all priests and deacons of the Archdiocese of Chicago to bring their parishioners and community members for a special visit. If a priest would like to celebrate the Eucharist with his community, he only needs to inform our parish office upon making the arrangements for their visit. We will make all of the necessary arrangements, e.g. vestments, chalices, Missals, etc. We have Missals available in English, Spanish, and Italian. Groups who visit us from outside the Archdiocese of Chicago are also welcome. We invite all clergy to make this special visit with their communities. However, due to regulations set forth by the USCCB and the Archdiocese of Chicago, non-Chicago priests looking to celebrate Holy Mass must provide a letter of “Good Standing” from their chancery to the Archdiocese prior to the date of your visit. This has become common place now and we look forward to working with you and your community. If you have any questions regarding requesting the services of our priests or helping arrange a visit with your parish community, please contact us at 847-294-1806 or info@solg.org.